Recently I had a discussion with my bestie about favorite desserts. We were talking about if we were going to buy each other a dessert, for each other’s birthday….would we know what to get? I guessed carrot cake or coconut cream pie for her…..and I was right AND she picked red velvet for me and she was correct! Red velvet cake (well red velvet anything) is probably my most favorite dessert of all time. Funny thing is I don’t like chocolate…and red velvet is cocoa based…..BUT it’s for sure my favorite! I think when it’s paired with a cream cheese frosting….I’m in heaven! Plus who doesn’t love that bright red cake/white frosting combo. It’s just looks FUN! And with Valentine’s Day right around the corner….I’ll be posting a bunch of red velvet/dessert recipes for the occasion! Give them a try on your loved ones…..they will fall in love. 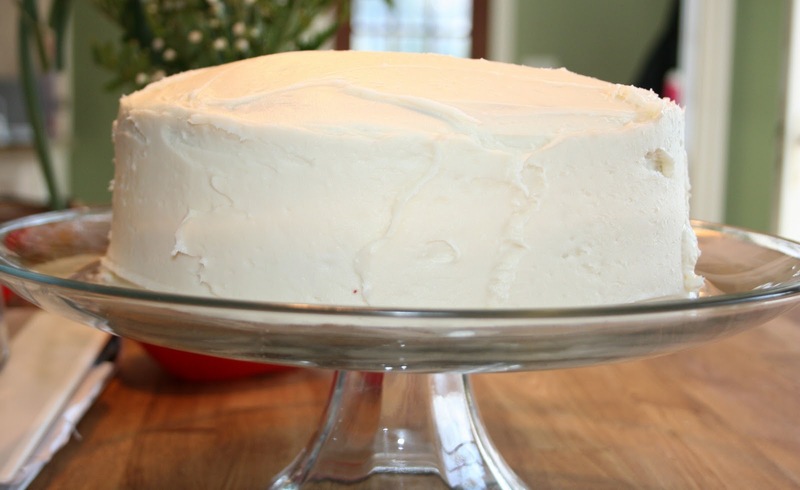 One of my all time favorite red velvet cake recipes comes from Bakerella. Def check her out…. for all your baking favorites. She’s truly amazing! I’ve made her cake many times over the past few years and it’s always raved about! I’ve made other recipes, but none are quite like hers……moist (I know…..I hate that word too) and delicious. And her cream cheese frosting will send you over the edge!